Hey there, everyone!! How has your week been so far? Mine has been really good! Editing & dropping of photos to clients, making cards, great Bible study time...and amazing bangers & mash that Josh made tonight for our community group. It was SO yum! I got my iPhone back, and am just glad to have it back. I missed it terribly the few days I was without it...my life is back to being complete. Tee hee! 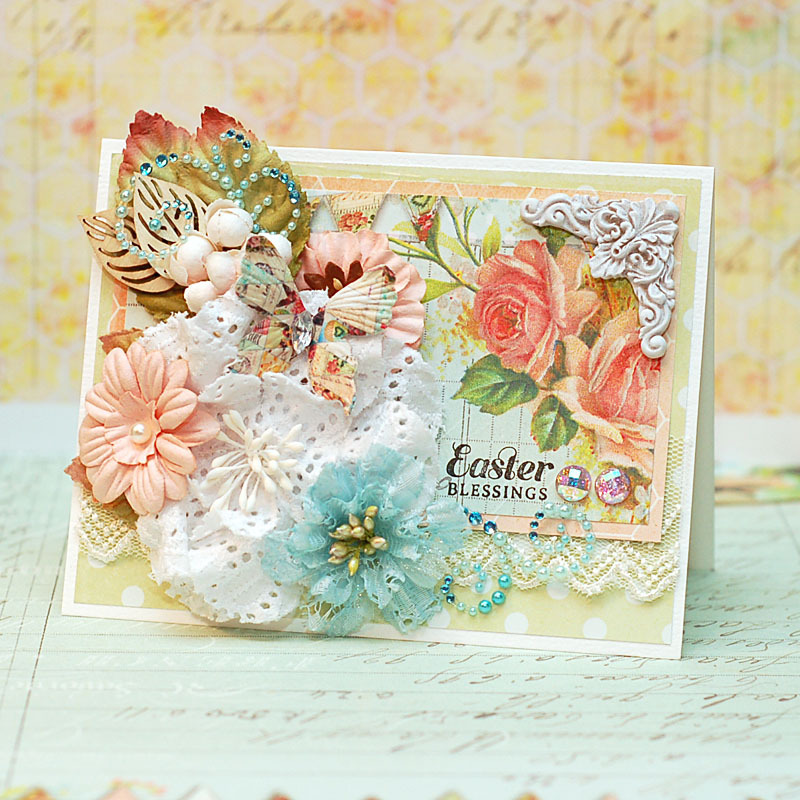 Tonight I have a pretty Easter card to share with you, that is FULL of Prima! 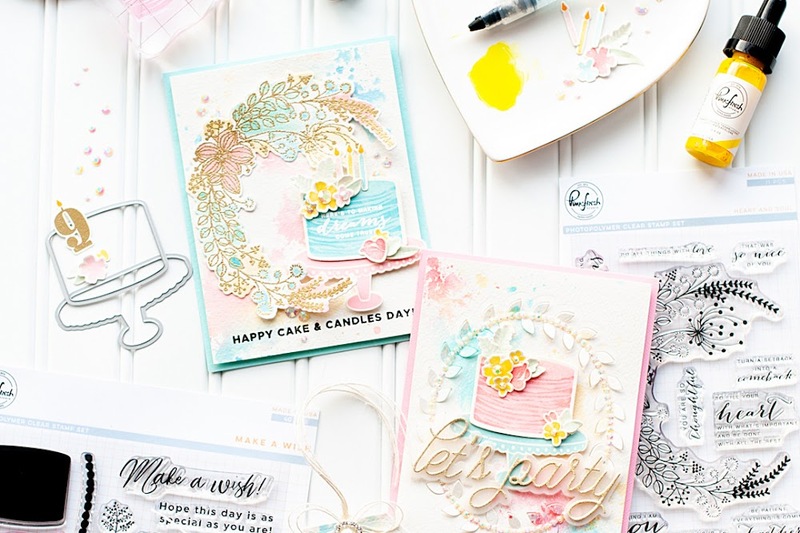 I won a challenge awhile back, and so I was asked to be a guest designer for Inspired By Stamping this week....in which we were given three colors to create a card. The colors are light pink, light green & light blue....perfect for springtime & Easter. Here is what I created! 2. Cut light green dotted paper slightly smaller & adhere. 3. Add a piece of lace trim to the bottom of the card. 4. Cut a block of pink paper & a block of floral paper, then adhere together to the top of the card. 5. Stamp the sentiment the bottom of the floral paper, then accent with 2 rhinestones. 6. Layer floral stems, fabric flowers, paper flowers & wooden leaves to the left side of the card. 7. Add a paper butterfly to the top of the flowers, then accent with jewel flourishes. 8. Add a resin photo corner to the upper right corner to finish. At first glance, it might seem like this card is a little complicated. But, when you get right down to it....the flowers are really just clustered together in one area, along with some other embellishments. I think the part that takes me the longest is picking the flowers that I am going to layer together in hopes that they will compliment each other well. The great thing about flowers is you can move them around, and make sure you like how they look before permanently adhering them down. If you want to try it, I suggest pulling out ALL of the flowers in your stash that are the colors you might want to use....and then just start playing with them and seeing if you like how they look. It is really a lot of fun!! I hope that you liked my card tonight! I will be back later this week for the Mama Elephant March release week....I hope you will check back and join me! 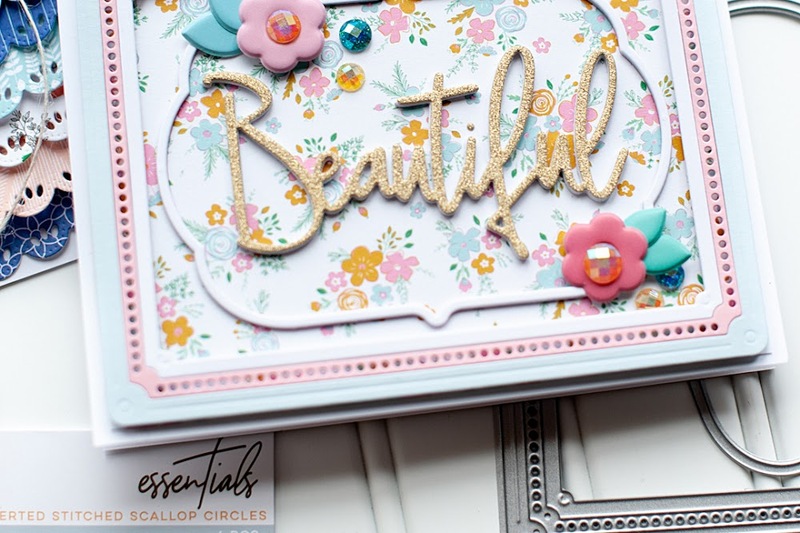 Beautiful layering on your card! Such a beautiful shabby chic easter creation. What a super gorgeous card, and perfectly shabby chic! Fabulous layers! 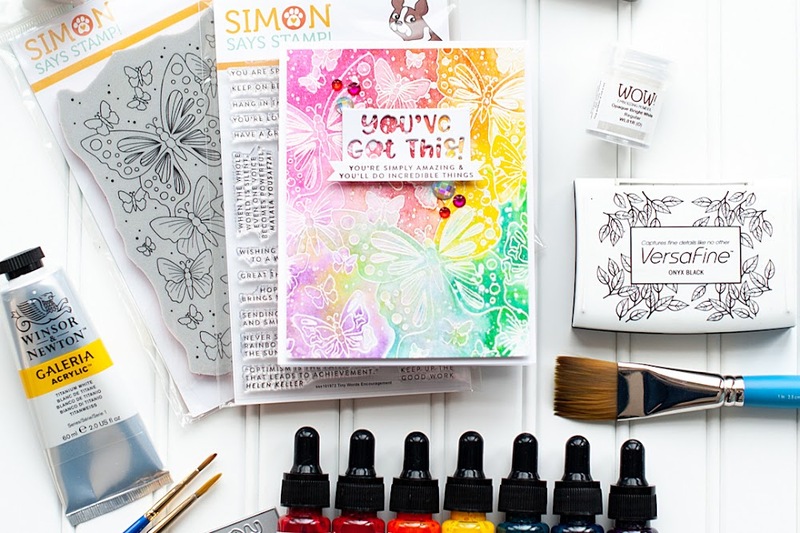 Thanks for playing in our shabby chic challenge this week at Simon Says Stamp & Show! Hello darling girl. This is STUNNING! So happy to see you as the Guest DT at IBS! Your work is so lovely! So many gorgeous flowers and so much beauty...love it!!! SO colorful and beautiful, Lea! Your choice of flowers is perfect!